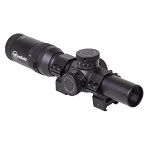 The Tactical 8-32x50AO IR Riflescope is the Ideal scope for the multipurpose shooter. 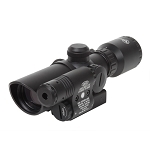 This scope features an Illuminated, red or green, mil-dot reticle. Battery life for the adjustable illumination is between 80-150 hours. The objective lens has parallax adjustment, adjustable from 15 yards to infinity; it gives the shooter the ability to accurately engage targets from any range. This presents a great advantage for competition shooters and high powered air guns. 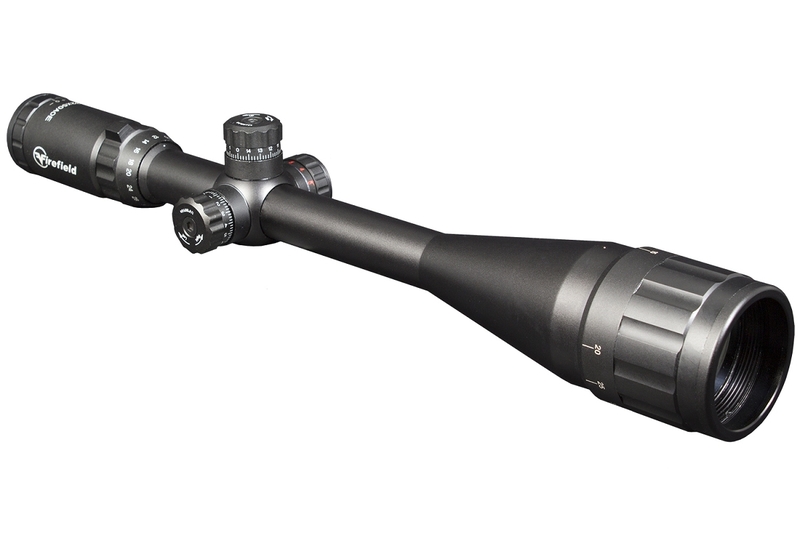 This scope is water and fog proof with operating temperatures between -20 degrees and 60 degrees Celsius, making it a versatile tool for any environment. Easy grip windage and elevation turrets on the top and side of the scope allow the shooter to fine tune the reticle for bullet drop ensuring greater accuracy. 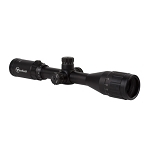 This scope weighs only 28 ounces but can handle up to 1200g’s of recoil. 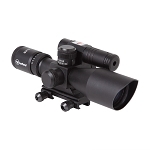 Included with the scope are flip-up lens covers and one inch riflescope rings. Firefield – Victory Justifies Everything!